This blog has been set up by some of the doctors and a variety of healthcare practitioners associated with Universal Medicine. It will be used to discuss articles pertaining to health along with practitioner and client experiences with respect to the understandings of esoteric healing and whatever else we feel to discuss. Recent articles in the news have made claims concerning Serge Benhayon, Universal Medicine and esoteric healing that are simply false and misrepresentative. This is not about defending Serge and Universal Medicine but about letting the truth be known. We all work at some level in healthcare and we all care deeply about the health of humanity. Despite all the advances in the understanding of the human body, physiology, illness, disease, nutrition, pharmacology etc and the amazing technology available to us today, we are aware that there remain unanswered questions regarding the health status of humanity that Western Medicine at this time does not appear to have full answers for. The rising levels of obesity and diabetes (diabesity), mental ill health and a cancer rate of 1 in 3 are just a few examples that concern us greatly. Thus, we have been prepared to look outside mainstream medicine, to explore areas that we recognise might be considered unconventional, or a bit weird by some but which we have come to know and experience for ourselves as resulting in true and lasting health benefits in our own lives. So no, we don’t have ‘evidence-based’ research to support the esoteric healing modalities but we do have the evidence of our own lives and countless others. We know that will not wash in the scientific community but for those who need it we feel confident that the scientific support will come, the evidence will come and in many ways some of it is here already. The fields of psychoneuroimmunology, psychosomatic medicine, epigenetics, neuroscience and neurocardiology are some areas that do have ongoing research that lend support to the esoteric understandings and these may be explored in more detail through this and other blogs The Soulful Doctor. However, that is for a later date. Serge Benhayon is definitely pro-medicine. Serge Benhayon is supportive of Doctors and Nurses and other healthcare practitioners. The esoteric healing modalities are not claimed to cure cancer or necessarily prevent it, be that breast, ovarian or other cancer, as there is a much bigger picture to consider. The emphasis in esoteric healing is about the quality of our daily living, not just having sessions and there is much more to consider. Esoteric students are aware that having sessions contributes to and forms part of healing but are by no means the whole picture. For us, the truth of the esoteric teachings has become self-evident, although we appreciate that for many people including the medical profession it is at the first stage. However, it is worth noting that this is only if the esoteric aspect is looked at in a cursory or sensationalist way as has recently been witnessed in the one-sided headline grabbing ‘cult’ press of late. As healthcare workers the most useful insight we have introduced since attending Universal Medicine courses is greater self-responsibility for our lifestyle choices which in turn has resulted in greater health and well-being for us. These are simple changes that most people know make sense but which we often struggle to implement – like eating a healthy diet, going to bed early, not drinking alcohol, in fact taking care of the body in every way. The esoteric understandings helped us to realise why we previously struggled with making these common-sense changes and helped us to implement them in our lives. We understand that some of these choices may seem extreme, like cutting out dairy, gluten, caffeine and excess sugar, but we do so based not on a belief, or an instruction by Serge, but on how these substances affect and feel in our bodies, as something that can be felt and known. 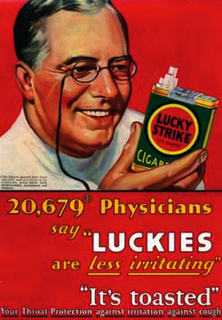 The medical profession and people at large could now say it is self-evident that smoking is bad for you … yet it wasn’t that long ago that doctors were being used in advertisements promoting cigarettes – something that today would be unthinkable. So perhaps it is worth pondering what in 50 years will be self-evidently harming to the body, supported by medical research, which today is considered ‘normal’, ‘ok’ or even healthy? Could it be alcohol? Gluten? Dairy? Excess sugar? Whilst we support the use of medical research and evidence based medicine, we are also aware that for us personally, these understandings do not require research to know the harm they cause in our bodies, for example, bloating with gluten or sinus issues with dairy. One of the core esoteric teachings is that ‘the body is the marker of truth’, in other words, it is through listening to the body and its responses to what we eat or other choices that we can be guided to a more self-caring way of living. Everything shared here needs to be researched. This ‘self-evident’ is something that is often ignored. Every body responds differently to say, antibiotics, so in other words, one thing does not work for all. Everything isn’t just about conventional ‘evidence based’, we need to be open to what is evident for the self and the body. “we do have the evidence of our own lives” We do not need a PhD or an enormous research budget to know that if we live recklessly, our body will suffer and that if we choose to live with gentleness and self-care our body is better able to support us in all that we ask of it. Whilst I deeply, deeply appreciate what is on offer in this blog as every article is just a priceless gift to entire humanity, it is worth noting that it came out in response to media’s misrepresentation of Universal Medicine and its teachings. It’s a bit like – did we need liars for us to start telling truth, to counter the lies? I wonder if the whole purpose of there being a lie was about for us to claim truth, to move into the alignment that was designed for us. If so, maybe feeling the part I have been playing in holding back and being on my backfoot so to speak, is a process that is worth appreciating. “The body is the marker of truth” is a teaching that could transform the way we approach life, we can love doughnuts, we can love coffee, we can love the thrill of our extreme sports – or whatever – but if you feel bloated after the doughnuts, or restless after the coffee or incredibly sick or out of sorts after the extreme sports, then the body has spoken its truth about what is ok for you and what is not. We think we have to make all these decisions day to day but here we actually have the ultimate guide to life. Surely we can all understand the simplicity of what you have shared as it is very clear that as children we had many foods and ways of being gentle that have been over-ridden by what we have been told to us as being healthy or good for us! It’s great to have this blog to dispel the lies, myths and mistruths perpetrated by a sensationalist hungry media. If I was a journalist I would be sitting up and taking notice of doctors and other health professionals who are saying there is something to this esoteric way of life, especially as they are living the esoteric way and getting great results for themselves and seeing it in others. The esoteric way of life is a sensible approach too – respect and honour the body, it being the marker of all truth. I agree Melinda, some journalist out there must be contemplating the sensational news that, the esoteric can’t be a lie. How long can it be a headline? And another double agreement, ‘taking notice’ of how doctors and other health professionals, are getting results. Why not investigate that? This is awesome because it is so simple. Every person has a body and therefore is an expert on how to live, therefore we all have the potential for true and great health when the body is included in your life choices. Any health care professional who deeply and genuinely cares for humanity and the health and well-being of people would be open to considering all options to add to, support and expand on the marvellous medicine we already have. The truth will come out in the end, however for myself I know that through making self loving changes to the way I live, what I eat and how I sleep, is already making a huge difference to how I feel and my quality of life. Thank you for providing this awesome platform for sharing how caring for ourselves in seemingly small ways can have such a dramatic effect on our overall health and wellbeing and yet so many remain vehemently opposed to what Serge Benhayon presents. Interesting that truth is eventually accepted as being self-evident and yet so many are currently obsessed with a narrow based evidence based form of medicine which excludes so much that will eventually become self evident and could be now if only there was more openness to listening to our bodies which are always communicating with us whether we choose to listen or not. If we simply listen to our bodies we will be well ahead of the game when it comes to our health and certainly well ahead of the scientific research and so called evidence based approach which are well known to be affected by vested interests and other agendas. I am not medically/scientifically trained and just simply do not understand why it is said there is no evidence when there are so many people through their own experience who testify that Universal Medicine therapies have supported them. It just seems like a play of words and a waste of time trying to negate their benefits on the ground that they are not evidence-based. Evidence based science is a bit like having ownership over what is truth and what is not, and then dictating that to others. I’m sure some evidence based science has been supportive to humanity and some researchers have had integrity, however there are also corrupt and unscrupulous practices now going on in science that push for ‘evidence’ or results that support profit based agendas. Human beings do not need to be placed into test tubes to tell them how something feels, their body is already communicating that clearly everyday. What is coming to light recently is that evidence based medicine isn’t all its cracked up to be, with fraud and corruption in the form of payments and preformed decisions as to the results. Omitting data that doesn’t serve the hypothesis also distorts the information required by doctors and intended patients alike.